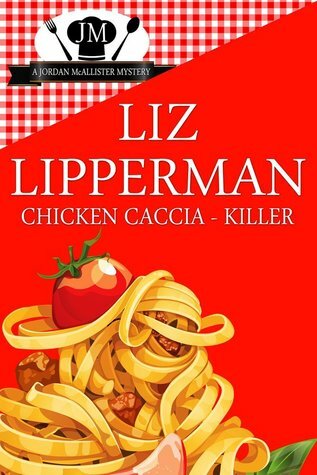 This book was a fun ride to Italy with some amazing characters. I enjoyed following Emily in the changes she is making in her life. This book grabs your emotions on the first page and does not let go. In fact this story stays with you after you are done reading. 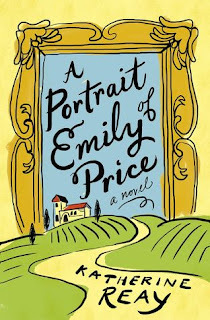 The setting of this book was great for me as I have wanted to travel to Italy for a long time. For me I felt like the characters were real live people. The author has a way of developing them that makes you feel as if you really get to be friends with them. I felt like this was a feel good type of book and by that I mean the more you read it the more you feel good. There is so much that I liked about this book that it is hard to put into the right words. So I am just going to finish with this is one of the best books I have read this year. I look forward to reading more by this author. I have been hosting a number of cozy mystery authors on my blog for the last two months. 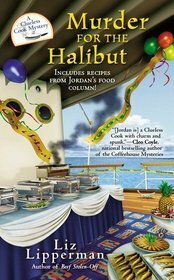 If you have not had the pleasure of enjoying a cozy mystery I encourage you to do so. 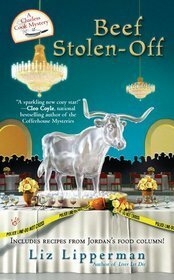 The cozy mystery industry as a whole is in danger of being lost as the publishers are ending a number of series. Please note that not all series I will be sharing are in danger. There are many that will be continuing on as normal. I just wanted to do my part to make everyone aware of this genre as a whole. Linda Wiken and Erika Chase share a passion for writing. 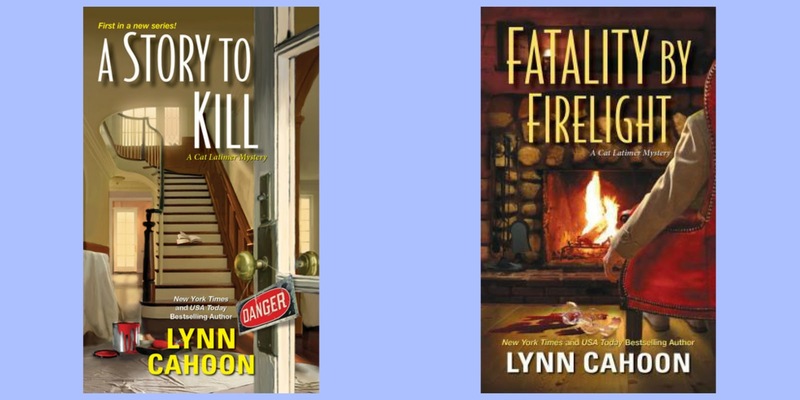 As Erika, it’s the Ashton Corners Book Club Mysteries with five books in the series, Law and Author being the most recent, while Linda writes the Dinner Club Mysteries. 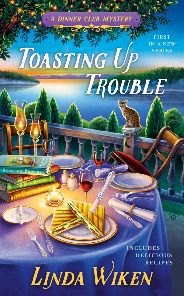 The first in this series, Toasting Up Trouble, debuted in July. The second, Roux The Day, is coming in 2017. In a previous life, Linda/Erika owned a mystery bookstore. 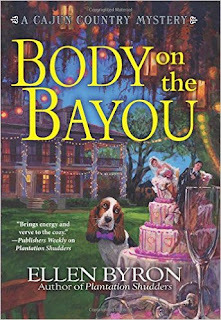 Her first Erika Chase novel, A Killer Read, was nominated for an Agatha Award for Best First Novel. While Linda has been short-listed for an Arthur Ellis Award from Crime Writers of Canada for Best Short Story. When not writing, Erika/Linda caters to her two Siamese cats, sings in a classical choir, and devours chocolates. 1. Who or what inspired you to start writing? That's an easy one and goes way back to the 8th grade. I can't remember the topic but I did get an ‘A’ on my essay. Thank you Mr. Ross! Of course, that spurred me on to writing a book. I started the next day and have never finished it. Fortunately! 2. How did you choose this genre to write? I've always loved reading mysteries - think Nancy Drew, Trixie Belden, Ginny Gordon and the like. I still love reading them, especially cozies, so what better genre to write. 3. Do you have scheduled writing time or a certain amount of words you write each day? I do have a routine which I try desperately to stick to but not always successfully, I must admit. Mornings are for the business of writing, ie promotion and all that involves. Afternoons, starting around 1:30 is my writing time, at my desk in my home office. I mention the office and desk because when I'm in editing mode, I usually move to the dining room table. It promotes a different mindset. 4. What do you do to help you get over writer's block? I walk it out. Whether it's around the block or to the kitchen for a snack (caution - writing can add inches), I do some of my best thinking when I walk. 5. What was it like to get your first publishing contract? It was Christmas and birthday all in one. Pure heart-pounding pleasure! 6. How has the publishing/writing world changed since you first started writing? That was a long time ago because I wrote for many years before becoming published. At that time there were mainly the large publishers inhabiting that world and very few smaller independents. It was still difficult to find a publisher but if you did, they would handle the majority of the promotion. And there were tons more bookstores! 7. You write about strong female characters. Are they modeled after anyone? My female characters are not specifically modeled after one person but probably more a composite of women I know and admire, women I don’t know but admire, and my ideas about how a strong resourceful woman should be. I think cozies are the perfect vehicle for showcasing strong women who are fiercely loyal, concerned about society’s woes, and determined to see justice prevail. 8. When you are not writing what do you like to do? 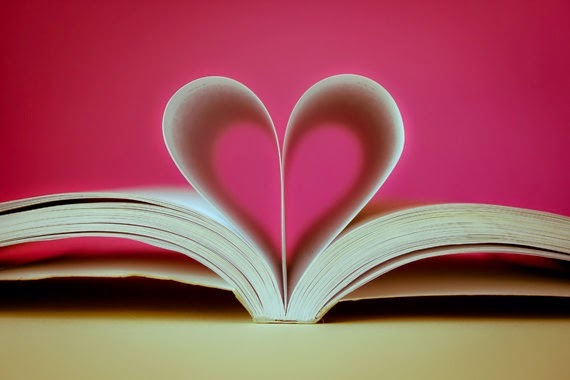 I love reading, walking, and singing in my choirs. I'll also admit to looking forward each day to sitting on my deck with an espresso in one hand, a piece of chocolate in the other, and a cat or two on my lap. 9. Do you have any advice for beginning authors? Don't give up. Keep rewriting until you get it right and keep trying to get an agent and/or publisher until the contract is signed. 10. Do you have a favorite author or book you would like to recommend to your readers? I have a yellowed copy of Bird by Bird by Anne Lamott that I go back to regularly. She's a wonderful writer with some very insightful words that never fail to inspire me. Linda is a fan of classic mysteries like Nancy Drew and Trixie Belden. She also tries to stick to a routine when writing and her advice is to not give up on your writing. Keep at it. 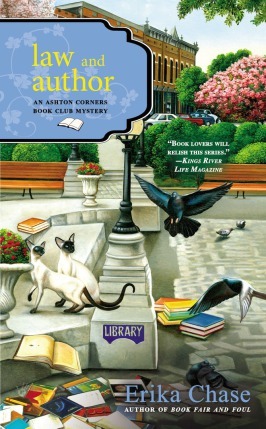 Her one book she recommends/loves is Bird by Bird by Anne Lamott. What did you learn? Much has changed for Marlee Jacob since she returned to Oriole Point, Michigan, three years ago. 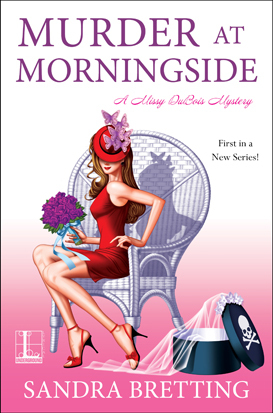 Between running the Berry Basket, dodging local gossip, and whipping up strawberry muffins, smoothies, and margaritas to celebrate the town’s first annual Strawberry Moon Bash, the twenty-nine-year-old hardly has time for her fiancé, let alone grim memories of her old life in New York . . . But unfortunately for Marlee, Oriole Point is muddled with secrets of its own. First her friend Irina disappears after an ominous dream. Next the seediest man in town threatens to crush her business. Then an unknown person nearly kills her on the night of the Bash. 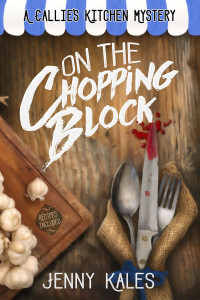 When she discovers a dead body while searching for Irina, Marlee realizes she’ll have to foil a killer’s plot herself—before the past permanently stains her future. I thought this was a good beginning to a new cozy series. It would be so much fun to visit the Berry Basket during the Strawberry Moos Bash without the murder of course. I can just taste those strawberry muffins. The author did a good job with giving us some charming characters to fall in love with as well as a location we will want to keep visiting. 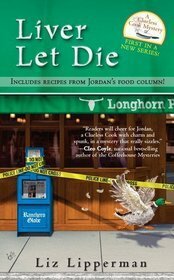 This was a quick read for me as I could not wait to find out who was the murder. Marlee seemed to like to get herself stuck in bad situtations but luckily always came out on top in the end. I think it is a good mystery when I have a difficult time figuring out the "whodunit" and this book did that for me. I am looking forward to more books in this series and to see what happens next. 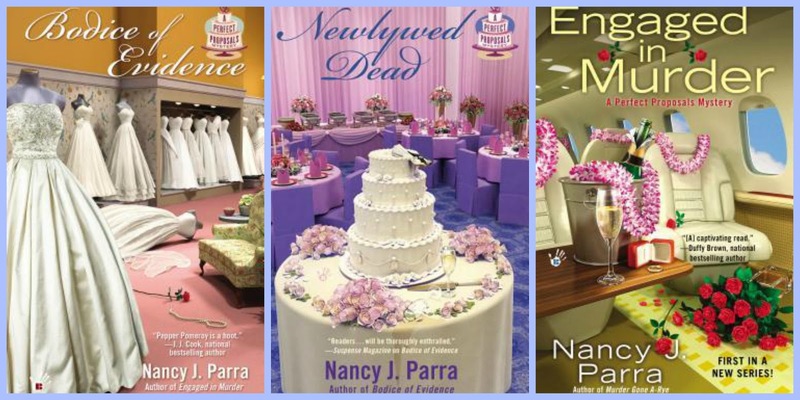 Sharon Farrow is the latest pen name of award winning author Sharon Pisacreta. Born and raised in Detroit, Michigan, Sharon has been a freelance writer since her twenties, with her first novel released in 1998. 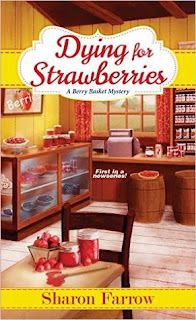 Published in mystery, fantasy, and romance, Sharon currently writes The Berry Basket cozy mystery series. She is also one half of the writing team D.E. Ireland, who co-author the Agatha nominated Eliza Doolittle and Henry Higgins mysteries. Although Sharon has lived in Rhode Island, New York and New Jersey, she calls Michigan home, specifically the beautiful coastline of Lake Michigan. 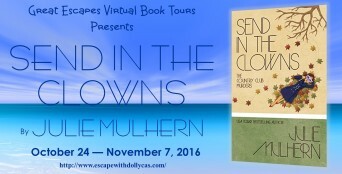 Indeed, she is so enamored of the sand dunes, orchards and beaches of western Michigan, she set The Berry Basket mysteries in a town very similar to the one she is lucky to live in. 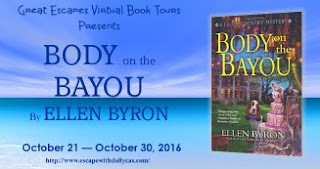 I was lucky enough to be invited to the Louisiana Book Festival in Baton Rouge this year to talk about my new book, BODY ON THE BAYOU, the latest in my Cajun Country Mystery series. We shared hellos. He asked about my background. I explained that I was from New York, live in Los Angeles, but I went to school at Tulane University. "So you're home," he said. His comment threw me. How did he know that? I've spent less time in Louisiana than either New York or Los Angeles. Yet it feels like home. Is it the warmth of the people? The unique, welcoming culture? The incredible food? All of that? Despite my long tenure in Los Angeles, a city I moved to for my job as a sitcom writer, I've always considered New York the home where my heart lies. 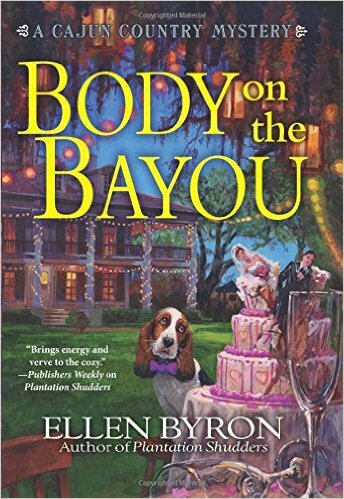 But as I write my mystery series, delving into the culture and history of the region I fell in love with during college, Louisiana exerts more and more of a pull on my heart. So I think the man who wrote about seersucker was right. When I'm Louisiana, I am home. At least in my heart and in my soul. And perhaps someday a dream of mine will come true, and I'll make the remarkable Cajun Country my actual home. 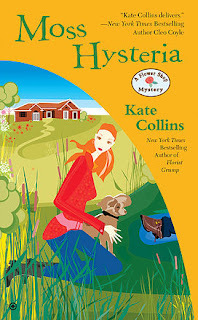 Kate Collins is the New York Times bestselling author of the Flower Shop Mystery series, now a new series on the Hallmark Movie and Mystery channel. Book #19 in the series, YEWS WITH CAUTION, will be an April 2017 release. 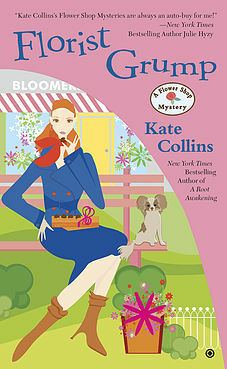 All of Kate’s mysteries are available in print, digital, and large-print editions. The first three books are available on audio. 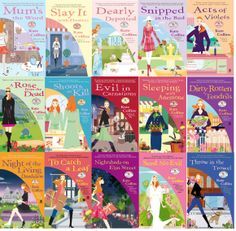 Kate’s historical romances and children’s anthologies are also available in digital format through her website. I never considered a career as a writer until after my first child was born. Then I looked around for a creative outlet and tried a number of crafts, including sewing, rug hooking, macramé, tole painting, and crocheting. One day I saw an ad for a writing course for children in the Chicago Tribune and decided to take it. I started selling short stories to children’s magazines and my new career was born. 2. What do you do to help you get over writer's block? Usually I have to step away from the computer, take a walk, do some yoga, or do something to free my mind so I can gain a new perspective. It really helps to talk over the plot problem with my son (my writing assistant). Another tip is to imagine the scene from a different character’s point of view. I usually do my internet work and household tasks in the mornings and write in the afternoons. My goal is to do five pages at least a day. It doesn’t sound like a lot, but sometimes I’ll spend an hour getting one scene just right. 4. How did you choose this genre to write? 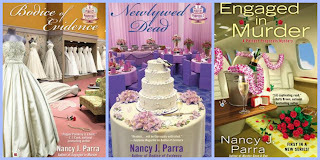 I originally wanted to write historical romances and went on to publish seven of them, still available as e-books on my website. 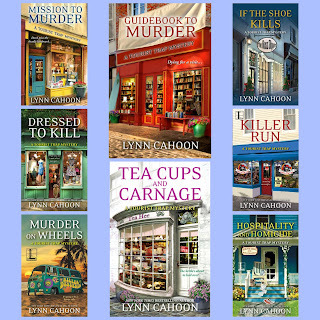 I finally did some soul searching and realized what I really enjoyed doing best was writing mysteries with a little romance in them, and that’s where I found my niche. Writing the Flower Shop Mystery series has been a dream come true. Having the books made into Hallmark Mysteries and getting to know the star of the series, Brooke Shields, is way beyond my wildest dreams. 5. Where do you get your ideas for your books? Mainly from the local news or bits of gossip. I love to eavesdrop at restaurants. My friends and neighbors know that any story they tell me may end up as a murder mystery. The plots for two of my books came from real life events from my neighborhood. 6. When you are not writing what do you like to do? I love to walk, do yoga, read, and garden. For me, working in my garden is my zen. Besides flowers, I also grow herbs and a few vegetables. I planted a cherry and a grape tomato plant three years ago and made the mistake of letting the vines stay in the ground over the winter. Ever since then, they’ve come up on their own, so many that I have to thin them out. They’ve actually cross pollinated into a new variety I call the “chape.” I harvest so many that I’m thinking putting a tomato stand in front of my house. 7. What one piece of advice would you like to give to aspiring writers? I’d rather make that two pieces of advice. First is to write from your heart. If you aren’t finding the joy in your story, you might be writing in the wrong genre. The second is to join a writing group. They can help you find the right market for your work and give you critique help. 8. Who is your favorite author or book that you would like to recommend to your readers? My current favorite author is Liane Moriarty. Her books, THE HUSBAND’S SECRET, and BIG LITTLE LIES really hooked me. They’re clever and humorous. 9. If you could meet any famous person dead or alive who would it be and why? My first choice would be Agatha Christie, the mother of the cozy mystery genre. I’d love to pick her brain as to how she plotted her stories. My second choice would be Jean Shepherd, the comedic writer who wrote the book, A CHRISTMAS STORY, among others. Mr. Shepherd grew up a few blocks from my childhood home, and I became an avid fan of his books from an early age. He was my inspiration for the humor I use in my own stories. Having dinner with him would be a joyful experience. 10. If you could visit anywhere in the world where would you like to visit? Santorini, Greece, one of the Greek Islands. To me, it’s one of the most beautiful places on earth. 11. Five interesting facts about yourself. I wish I could say I was so interesting that I’d have five things to list. About the only truly interesting thing is that I was once kidnapped by a camel driver in Giza, Egypt, until my husband paid ransom money to get me down from the camel. The driver wanted $50 to take my photo (with my own camera). My husband the lawyer bargained with him until they came to an agreement. My net value was $5.00. This was in full view of the other tourists and police, by the way. 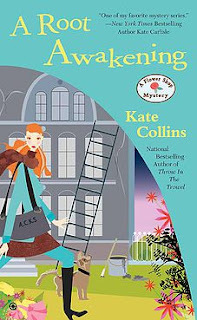 I learned that Kate was kidnapped by a camel driver in Egyt. Her advice to new writers is to write from your heart. Also Kate likes to do yoga both for fun and as a cure for writer's block. What did you learn about Kate? Stay tuned for our last author in this series! Sandra Bretting writes the Missy DuBois Mystery series for Kensington/Lyrical Underground. A graduate of the University of Missouri School of Journalism, she’s written for the Los Angeles Times and the Houston Chronicle, among others. 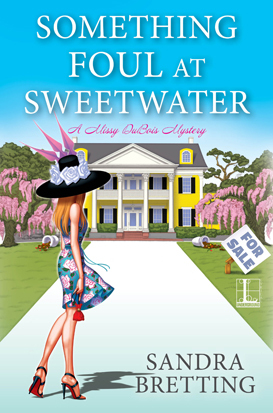 The Missy DuBois Mystery series follows milliner and bona fide Southern belle Missy DuBois, who becomes entangled in several unfashionable murders on the Great River Road in Louisiana. The first book, Murder at Morningside, debuted in May 2016. The second installment, Something Foul at Sweetwater, will be available December 2016. Readers can connect with her at www.sandrabretting.com. My parents were Dutch immigrants who valued education above all else. My mother kept her bookshelves filled with works by great American authors, because she wanted to understand her new country better. I spent many happy hours curled up with books by Jack London, Ernest Hemingway and John Steinbeck, and I think that’s when the writing bug bit me. I try to enjoy a different kind of creativity. That can mean anything from listening to classical music to viewing some beautiful paintings or watching a well-written movie. Indulging in something else that’s creative usually gets me over a writing slump. I write six mornings a week, between 8 a.m. and noon. That’s when my brain is at its best and the distractions are minimal. I get squeamish when people talk about word count, because to me that feels a little robotic. I write until my muse tells me to stop…and then I stop. An editor read one of my early mainstream manuscripts and felt it’d work better as a mystery. 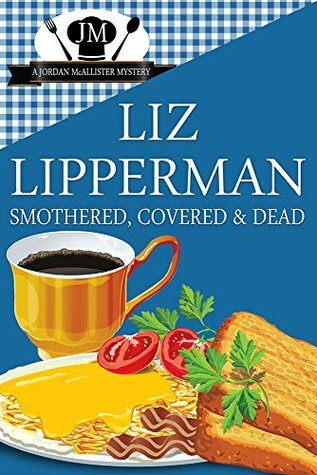 After my first two traditional mysteries were published, I wanted to spend more time with a certain character, so I wrote her into a cozy series. It’s funny how someone can point you down the path and by the time you look up, you’re already halfway there. The Missy DuBois Mystery series came from a visit I took to the Great River Road in Louisiana. I knew I had to base a series there. The atmosphere is so thick; mystery lurks around every corner. Other times, I might hear a snippet that will spark my imagination. It could be a name, or a phrase, or some detail that strikes me as interesting. I’d remind them that writing careers aren’t built overnight. Most of those “overnight successes” you hear about? They toiled for years, so be committed for the long haul. If anyone hasn’t read The Nightingale yet (is there anyone left?) I’d tell them to run right out and buy a copy, or download it to their eReader. I loved everything about the book…the characters, the tone, and the setting. Probably Ernest Hemingway. His favorite work was The Old Man and the Sea, and I’d like to ask him how he managed to sustain such an interesting narrative with so little action. I think he’d be fascinating. Right now I’m looking into Portugal. My family loves Spain, but we’ve never traveled just west of there. 1) I wanted to be a concert pianist until I was 12 and saw much younger kids whiz past me with the Suzuki method. 2) I attended the University of Missouri School of Journalism two years before Brad Pitt. It’s true … timing is everything. 4) I served an internship on Capitol Hill at 19, and my friends and I would run around Congress afterhours. This was waaayyy before 9/11. Sandra's parents are Dutch immigrants and because of her mother she learned to love books. She would enjoy meeting Ernest Hemingway. Also Sandra worked on Capitol Hill as a young adult. What did you learn about her. Jenny Kales is the author of ON THE CHOPPING BLOCK, the first in The Callie’s Kitchen Mystery Series. Her marriage into a Greek-American Midwestern family inspired The Callie’s Kitchen mysteries, featuring Calliope Costas, food business owner and amateur sleuth. The setting of the story, “Crystal Bay,” is inspired by a favorite family vacation spot – Wisconsin’s beautiful Geneva Lakes. 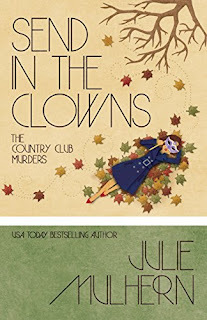 A member of Mystery Writers of America and Sisters in Crime, she lives just outside of Chicago with her husband, two daughters and one cute but demanding Yorkshire terrier. I wanted to write as soon as I could read. I wanted to be able to give people that wonderful feeling of escaping into a good book that captures the imagination. When I read "Harriet the Spy" for the first time, I decided that being a writer is about the best thing you can be. I start writing down chapter outlines or working out plot points. That seems to do the trick. Also, I will read over what I've written the day before -- that seems to give me a good jumping off point. I try to write every day for at least 2 hours. I also write at least one day of the weekend,.If I miss a day, I make up for it by "double-booking" on another day. This is especially important when I'm trying to complete a project. I love reading all mysteries, but cozy mysteries really captured my imagination. I like the fact that they take you into an idyllic setting that you'd want to visit, with fun, quirky people -- but that there is a dark side when a murder takes place. I like that dichotomy. I also like how cozy mysteries will help restore a sense of justice and order -- something that doesn't always happen in the "real world." It's a good escape, and solving the mystery makes you use your brain. Can you tell I love this genre? My "Callie's Kitchen" series is inspired by my frequent visits to the Geneva Lakes area of Wisconsin. It's a nice getaway spot and tourist destination with great shops and restaurants and scenery -- so I thought, why not write a cozy mystery set there? Calliope Costas and her family, are inspired by the many people I've met by marrying into a Greek-American family. I love to read! I also love British TV (especially the mysteries) and cooking shows. I enjoy spending time outdoors, traveling with my family and I love to bake and cook -- of course, Greek foods are a family favorite. Only you can write with your unique voice. Keep improving your craft. Edit mercilessly but love your story and believe in it -- or readers won't! Rebecca by Daphne Du Maurier. An oldie, but a goodie. If you've never read it, you're missing out! It's also influenced so much suspense and mystery writing. I'd love to visit Scotland because I love Outlander . I'd like to visit Greece with my family -- my husband has been there many times and speaks fluent Greek. I once was a semi-finalist in the Chicago Tribune Christmas Cookie competition using a variation on a cookie recipe from a 1950s Greek church cookbook. The first (and so far, only) time I visited Paris was on my honeymoon. One of my freelance essays appeared on The TODAY Show Parents site. That was pretty exciting. 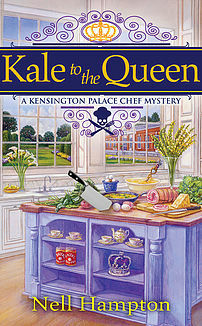 I'm finishing up the second book in the Callie's Kitchen mystery series -- it comes out in November! Jenny uses Geneva Lakes, Wisconsin as the inspiration of the setting for her books. She also enjoys watching British mystery tv show. Like me she would love to visit Scotland because of her love of The Outlander. What are some things you learned? I always wanted to be a story teller. Even as a kid. But I'm very literal and I didn't see a 'writer' degree and I knew I needed a fall back career. Instead, I got a full time career, and a baby, so there was no time for writing. Fast forward a few years, and when I was divorcing my first husband and finding my voice, I remembered my love of writing. Then life intervened again, and I got husband number two with a strong love of darts. When I was diagnosed with Breast Cancer in 2007, I realized someday wasn't promised and I started writing. What made you chose this genre? 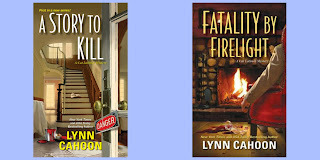 I love reading cozy mysteries. But it took a while reading the mystery genre, why I liked some books, and not others. It was the ones with the strong community and relationships that drew me in, not so much the blood and gore. I wish. Actually, I get up early, before work, and write. I like my desktop, mainly because of the 40 inch screen. My husband keeps me in high tech toys. I plan for 10K a week, and my goal is to get 2K a day on weekdays, then my weekends are free. It never works that way. I write. Honestly, I think writer's block is a writer not knowing where their story is heading. If I don't like what I'm writing, I might think about what I want to do differently, then I change the plan. But I don't think you get over a block by not writing. Crazy. I'd been targeting HQ American for over three years. They finally rejected my bull rider story, so I bit the bullet and sent it to a small press with a strong backer (Crimson Romance) and had a request for a full in an hour. My offer to contract came a week later. I was at work and turned to my cube mate and said, "I think I just sold my book." Each and every contract has had that sense of wonder with it. Wonder and gratitude. See answer above. I had told my husband that I worked way too hard on a book to sell it to a digital first publisher. However, when you target a book to a specific publisher and a specific line, there aren't many other places to shop it to after the publisher rejects it. Since 2012 when The Bull Rider's Brother was published, digital first has become not such a bad word in the lives of authors. I'm making good royalties on my digital books. Good enough that I'm thinking about giving up the day job, right as soon as my husband's life flight trip is paid off. Kind of. My older sisters were all strong role models for me. My mom was widowed with five kids, including an one-year-old (me). I've always fought for my right to work without being told I'm taking a job away from a man with a family. Being my age, I have a different sense of the world, especially as a female. I want my characters to be strong and independent like I would have wanted my daughters to be, if I'd had any. I love sitting on the beach watching the waves. I just got back from our vacation at OBX, NC and I'm already missing listening to the crash of the waves. I've heard this from others. Write at least three books, start to finish, before thinking of publication. You have to learn what you like to write and your voice. Then don't be afraid of a digital offer. Robyn Carr. Love the way she writes small towns. And Stephen King - love his fantasy. And Deborah Harkness. The Discovery of Witches. I read pretty widely. I love baking, cooking, and good food. I married a younger man the second time. I love swimming, but don't do it as much as I should. Lynn is a breast cancer survivor. Like me she loves Project Runway and Top Chef. She models her characters after her older sisters. 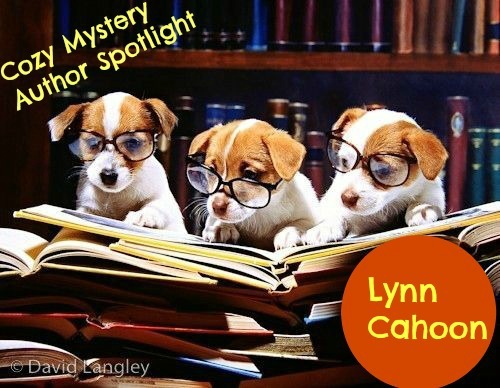 One of her favorite authors is Robyn Carr. What did you learn? 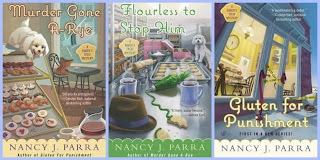 Nancy J Parra AKA Nancy Coco is the author of over 20 published novels which include three mystery series: The Gluten-free Baker’s Treat Mysteries (Berkley Prime Crime), The Candy Coated Mysteries (Kensington), and The Perfect Proposal Mysteries (Berkley Prime Crime). 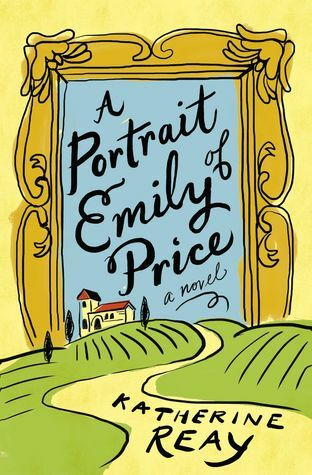 Her writing has been called witty and her protagonists plucky by reviewers around the world. Nancy is a member of Sisters in Crime, Mystery Writers of America and writes for the Killer Character Blog on the 8th of every month. Nancy loves to hear from readers. I started writing stories in 5th grade, but didn't write my first full novel until I was 20- 17 novels later I sold my first book just as I was turning 40. I've sold 24 books since then. I started out writing romance, but the books always had a mystery theme. I went back to school to get my Masters and decided to study the mystery genre. The rest is history. I set goals of 5 or 10 pages a day depending on how close I am to deadline. So I don't go to bed until that's done- hopefully it's done in the morning but some days get away from me and it's done in the evening. I write badly- lol- I don't have writer's block. I sit down and write daily- some days I allow myself to write badly-I can always go back and fix it later. The secret is to always write. Everything is so different now. There are more voices heard-that's a good thing. There are more ways to publish-also good. I would have to say all the strong, beautiful women I've met over the years. There are so many wonderful role models around us of every day women building families and friendships and following their dreams. I like to bake! 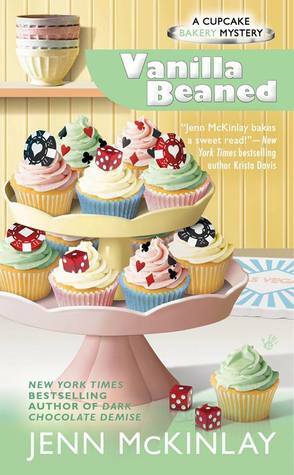 I make up almost all of the recipes in my books. It's creative and messy and fun. It's also immediate. No waiting two years for the finished product. There's a funny saying- What to tell new authors- -quit while they are still happy! lol. I say keep writing as long as it makes you happy. Life is too short not to be happy. There are too many wonderful authors to name just one. I do go back and reread Laura Ingalls Wilder's Little House series. It's so different reading them as an adult. 2) I love and cherish all four seasons. 3) I once lived on Guam- there is only two seasons there- wet and dry and even in the dry season it rains somewhere on the island every day. 4) I've discarded nearly as many books/manuscripts as I've published. Nancy has a goal of writing 5-10 pages a day. Like me she is a fan of Laura Ingalls Wilder and likes to re-read her books. She has lived in Guam. She did not sell her first book until she was 40. What did you learn about Nancy? Haunted houses are scary enough without knife-wielding clowns. Especially murderous knife-wielding clowns. So thinks Ellison Russell, single mother, artist, and reluctant sleuth. Now death wears a red nose and Ellison is up to the blood-stained collar of her new trench coat in costumes, caffeine, and possible killers. Who stabbed Brooks Harney? And why? Money? Jealousy? Drugs? With Mother meddling, her father furious, and her date dragged downtown for questioning, turns out Ellison’s only confidante is Mr. Coffee. “I’m afraid so.” Lorna should at least try to contain her glee. “Another body?” Nonchalance was the ticket. And, if it wasn’t another body, anything else that might follow was anti-climatic. Frances didn’t care to add them up. “It’s not as if she’s killed anyone.” That sounded defensive. Damn. “Are they?” Frances added a healthy dose of ice to her tone. With friends like Lorna, who needed enemies?